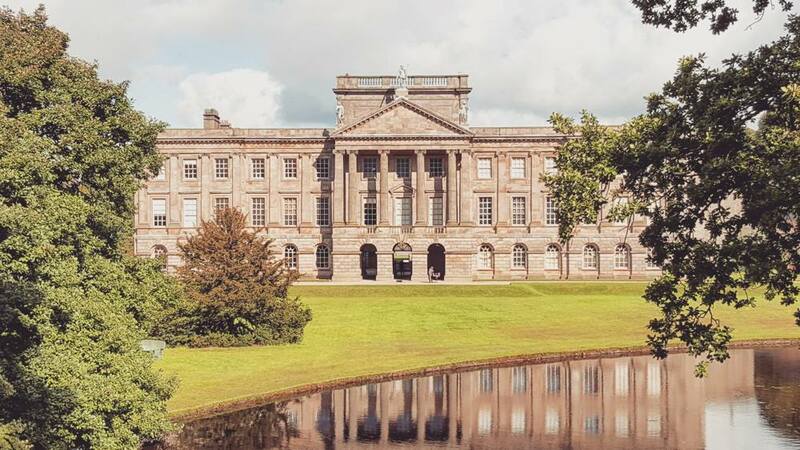 Lyme park became Pemberley in the Pride and Prejudice series and is now one of the most memorable estates featured in the 1995 BBC mini series version of Jane Austen’s Pride and Prejudice. The park in which this walk takes you was used for the exteriors and gardens of Pemberley, the estate of the wealthy Mr Darcy. This 1.6-mile loop walk explores the grounds of Lyme Park, a spectacular National Trust property in Cheshire surrounded by gardens, moorland and a deer park. You’ll be rewarded with glorious views on this walk to lesser-visited areas of the park, including the Lantern Tower. You may also be able to see Lyme’s red deer, who often spend their time in the east of the park. The house has been altered by succeeding generations of the Legh family, who owned Lyme for 600 years before giving it to the National Trust in 1946. The statue of Minerva with her shield and spear over the central gateway was set up at the end of the 18th century. Tradition has it that the top third of the lantern used to be on the roof of the house, where Minerva’s statue now stands. Take a few minutes to admire the view. To your right there is the plateau of Kinder Scout the highest point in the Peak District. To the left of Kinder the hills of Derbyshire merge into Yorkshire. In the far distance you may be able to pick out the TV mast at Holme Moss near Huddersfield. To the left in the far distance there is another TV mast, Winter Hill near Bolton. The Cheshire plain with Stockport in the foreground is to the far left. From here it is usually possible to see red deer hinds across the road ahead. They tend to keep to the less visited areas of the park where they are safe from disturbance.